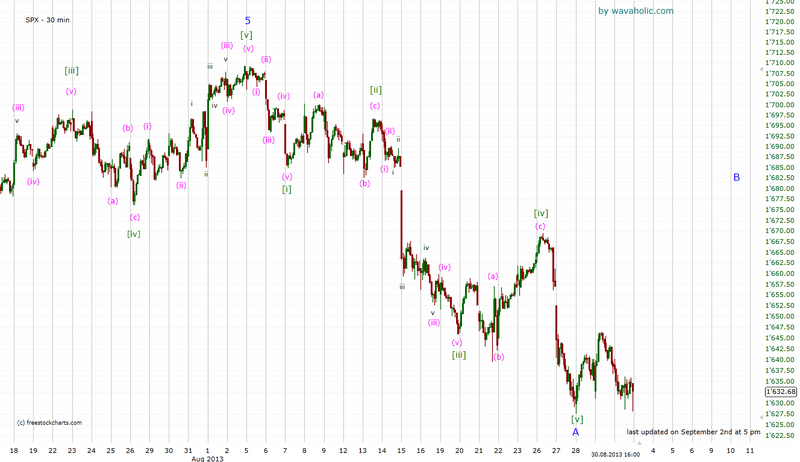 The last count became void when the market declined below 1657 last week. Just a few days earlier the break above this level triggered the alleged B wave rally. It looks like the decline from 1709 to 1627 was wave A and that wave B is now underway. Possible targets for this rally are 1669 and 1685. If 1627 breaks, this count becomes void and a subsequent sell-off to below 1600 is likely.